This month I get to host our little co-op preschool at my house each week! We will be reading a Christmas book each week and then we'll do some activities and crafts. 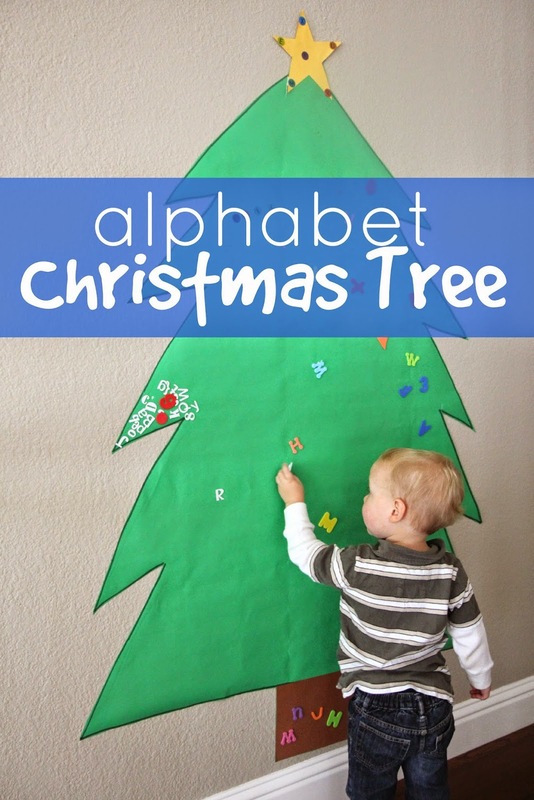 The activity I am sharing today was inspired by No Time for Flashcard's Alphabet Christmas tree. This week we talked about the alphabet tree in the book Chicka Chicka Boom Boom by Bill Martin Jr. and we decided to create our own alphabet tree... but make it a Christmas tree! To make our alphabet tree we didn't need very may materials at all. 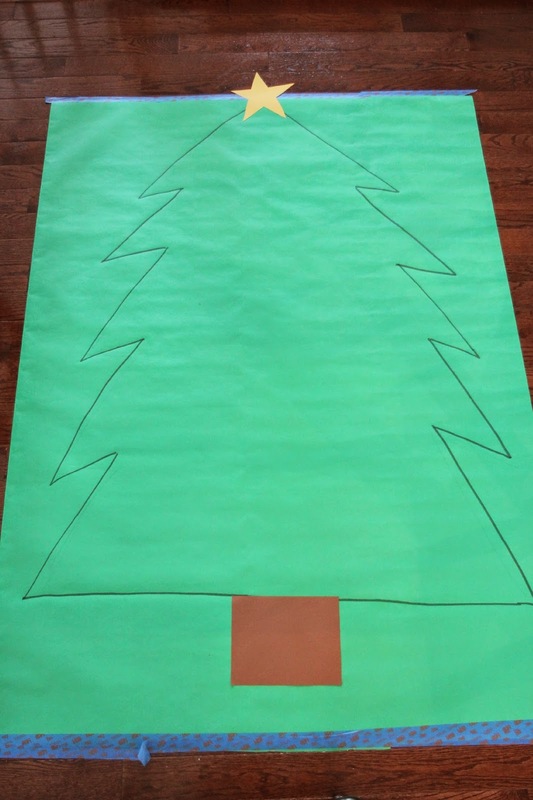 To get started I taped a huge roll of green paper onto the floor and then I drew a Christmas tree outline on it. Next I added on the trunk of the tree using brown construction paper. Then add a star using yellow construction paper. The kids and I kicked off our Christmas themed preschool by reading Pete the Cat Saves Christmas by Eric Litwin and then I took the kids in to check out our giant tree. We started off by having the green paper taped to the downstairs floor and then later we moved it to hang on the wall. When we were ready to create, I gave each child a sheet of stickers and they got started covering the tree with colorful ABC stickers! After kids lost interest (about 20-30 minutes later), we picked up the tree and cut around the edges and then we stuck it up on the entry room wall. I was utterly impressed with how long the kids stayed engaged in this activity and how much fun they had. I loved listening to them talk about the alphabet letters they found or were holding or which names started with which letter. Thank you so much!! This is not only useful for my little students but also for my 4 and 2 year old sons.